Along the Mediterranean Coast of Spain lies the alluring Valencia best known for its fallas festival, intricate ceramics and its futuristic City of Arts and Sciences. 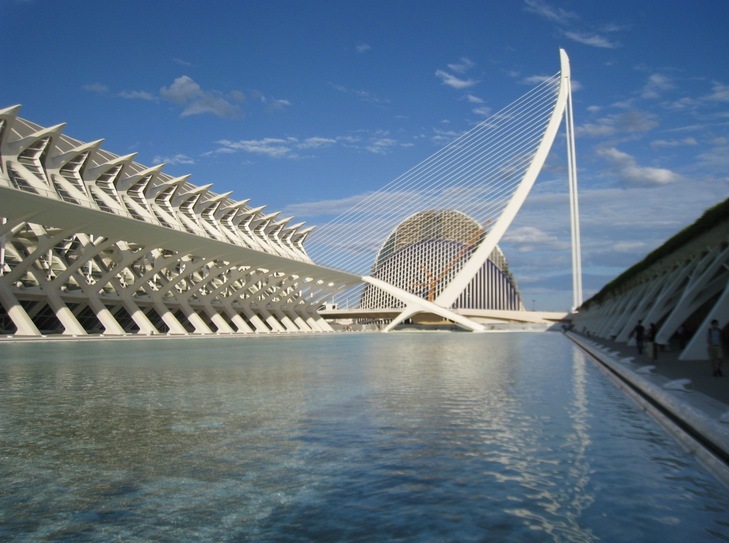 It is the third largest city of Spain that is constantly reinventing itself to embrace futuristic developments and still boasting of some of the finest architectural structures in Europe ranging from historic to avant-garde. It is a city located in an enviable location backed by mountains and plains and at the very heart of Europe’s most fertile regions. The fields surrounding the city are clad in orange and lemon trees, rice grows alongside sweet corn and shimmering canals meander through the serene landscape as giving it a fresh breath of life. Founded by the Romans in the 138 BC, Valencia boasts of extravagant historical treasures in form of fine monuments found in Turia Gardens and the railway station. The Valencia Cathedral started in 1262 on the site of a Moorish mosque built is built in a mix of styles is one of the highlights of the city with an octagonal Gothic Tower which rewards you with magnificent views of the city; it is also has a small chapel which is believed to contain what is known as the Holy Grail. To make the most of this city, having a beautiful villa to come back to every day is ideal; holiday rentals in Valencia are varied from luxurious casas rurales to small cottages in ancient villages and family run hotels. Luxury villa holidays in Valencia could be carefully restored country houses with every possible comfort or modern property in the popular resorts of Valencia. Villa holidays in Valencia can also be found in ancient villages where you can have a taste of the excellent local cuisine.